Leading Service Provider of textile catalog printing, fashion catalog and saree catalog printing services from Ahmedabad. Application Spot UV, Lamination, Soft Cover and Hard Cover Binding. With the assistance of our team of professionals, we are engaged in offering Fashion Catalog Printing. Our skilled professionals are enabled to provide perfect solutions to our clients as per their variegated requirements. Also, our professionals strive hard to understand the diverse requirements of our clients and provide all the services accordingly. Also, our professionals use the available resources in the best possible manner in order to provide excellent output. 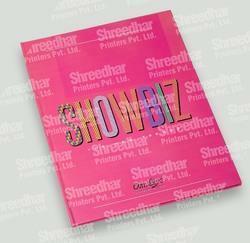 Our organization is engaged in providing high quality Saree Catalog Printing to our esteemed clients. We have experienced professionals with the help of whom we render these services using modern technology in adherence with the international quality standards. Our professionals interact with clients and as per their designs and requirements, offer these services. Furthermore, clients can avail these services from us at the most affordable prices. 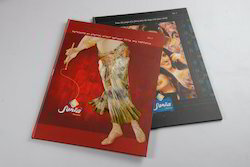 Looking for Catalog Printing Services ?